Princeton Gold (Acer platanoides 'Princeton Gold') is an ideal Norway Maple for the smaller garden, as its height at a mere 8m (26ft 8in), somewhat shorter than many of our other maples, makes this possible. 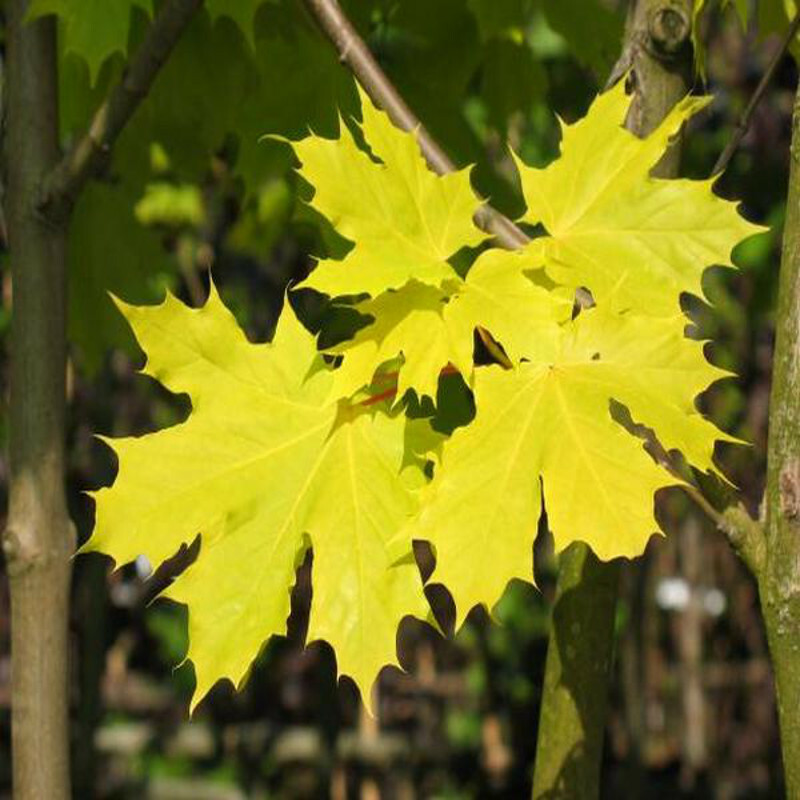 Its leaves make this tree a real feature in the garden because of their stunning golden coloured leaves. Of importance is the fact that this tree is resistant to intense sun and its leaves do not scorch. A brilliantly strikingly beautiful golden leaved form of the Norway Maple. Princeton Gold is supplied at a height of 150 and 240cm in a 10-15L container, which means that the tree has an already established root system and therefore this tree can be planted any time of the year and with better results than either bare-root or rootballed trees. The large range of sizes we offer depend on the previous weather we have had for the preceding two years.